It’s becoming a more common question as people get fed up with the lame “You just have IBS” response from GI doctors. Especially since many aren’t getting any help at all from their doctors.spending years suffering because your doctor didn’t want to look any further. Why exactly is it okay or acceptable to spend years suffering because your doctor didn’t want to look any further? It’s hard for anyone to google “SIBO”. Except patients are routinely told that SIBO isn’t real when they question their doctor about it. Because a quick search of PubMed of “small intestine bacterial overgrowth” unearths a whopping 1487 sources. Are you still going to stick with “it’s not real”? That’s why I invited my friend and fellow health sleuth Amy Hollenkamp of SIBOdiaries.com to set the record straight about the complex relationship between SIBO and IBS. I remember it like it was yesterday. I was highly anticipating a call from my Gastroenterologist to review my test results. Desperate to get to the bottom of my constant bloating and abdominal discomfort disrupting my life, I was ready for answers! When that phone call finally came, it was the nurse. How could that be? The pain and bloating I felt was definitely not normal. But I had already tried multiple fiber supplements with no success. And I knew that my symptoms were not just a result of stress.I felt more lost and confused than ever. I felt more lost and confused than ever. Here I thought I was finally going to get answers and my doctor just told me what I already knew….that my bowels were irritated!! But what I didn’t get was the reason why this had happened. Though he gave my symptoms a fancy label, it became clear that my doctor wasn’t going to dig any deeper to look for the root of my symptoms. Irritable Bowel Syndrome is a condition characterized by unexplained abdominal discomfort or pain that is associated with changes in bowel habits. It is a diagnosis of exclusion. If your labs show no abnormalities to explain your symptoms, a conventional doctor will usually diagnose you with IBS. In conventional medicine, IBS is blamed on stress. Doctors often preach an “it’s all in your head” message to their patients. But, there is no significant evidence to support the notion that stress causes IBS. Research shows that stress appears to only be one of the many factors impacting the severity of your IBS symptoms. But I’d argue that blaming IBS on stress makes it easier for your doctor to dismiss you. An IBS diagnosis should really tell you that your doctor doesn’t know what is causing your symptoms. They also are unwilling or unable to dig deeper to find the root cause of your symptoms. That’s why I call it a “junk diagnosis”. With my junk diagnosis, I knew I needed to take my health into my own hands to find the answers I was looking for. I went full out Sherlock Holmes spending countless researching gut health to crack my case. It wasn’t long into researching all things microbiome that I began to suspect bacteria might be a problem. I went to a functional medicine doctor who was confident that I had small intestine bacterial overgrowth or SIBO after reviewing my case. So was this finally the answer to my “Do I have SIBO?” question? After reviewing the symptoms of SIBO, I knew I had finally found the missing piece of the puzzle. Testing confirmed our suspicions! My IBS symptoms were the result by an overgrowth of bacteria in my small intestines. While a diverse and robust bacterial population in the large intestine is a good thing, they really don’t belong in the small intestine. It must remain relatively low in bacteria to allow proper digestion and absorption of nutrients. In the small intestine, fermentation by bacteria produces methane, hydrogen and sulfate gases. And that’s what causes the most common IBS symptoms like bloating, abdominal pain, diarrhea, constipation, and gas. An overgrowth of bacteria in the small intestine disturbs digestion and absorption. SIBO can impair fat digestion by deactivating bile salts that are needed to absorb the fats you’ve eaten. (1) SIBO sufferers often have fatty and greasy stools from impaired fat absorption. The bacteria also produce toxic byproducts that damage the brush border of the small intestine. (1) The brush border is the absorptive surface of the cells lining the small intestines. These cells produce enzymes that help break down our food when they’re healthy. That explains why it’s not uncommon for SIBO sufferers to have trouble digesting sugars like lactose and fructose. The more food you fail to digest, the more food that’s available for the bacteria to proliferate. SIBO creates this vicious cycle of brush border inflammation, poor digestion, and continual bacterial reproduction. With SIBO, you aren’t what you eat, but you are what you absorb. I know I have IBS, but do I have SIBO? The gold standard for SIBO testing is to culture a piece of tissue from the small intestine. (5) Unfortunately, this testing method is both invasive and expensive so doctors rarely use it. The cheaper more popular test for SIBO is the lactulose breath test. One test option from Genova labs is called Bacterial Overgrowth Breath Test (SIBO, BOSI) which you can order yourself. It’s a great non-invasive way to get an answer to the question “do I have SIBO?”. This test involves drinking a lactulose or glucose solution and collecting breath samples over a 2-3 hour period. If you have SIBO, the bacteria will ferment the sugar in your gut and produce gases that are released as part of your breath. The test will measure the presence of what gases are there, their respective quantities, and how long it took them to be released. This last piece is important. How long it took the gases to show up tells your practitioner approximately where the problematic bacteria are in your small intestine. There is no disputing that the prevalence of SIBO is significantly higher in IBS sufferers. The exact prevalence varies mainly due to testing methods and differences in study participant criteria. While there is some variance in the estimates, I believe it is safe to say that SIBO is present in about half of all IBS cases. If you have IBS, it is important to rule out SIBO. The most common complaint of SIBO is bloating, especially after eating high fiber foods. It is not uncommon for someone with SIBO to look 6 to 9 months pregnant after meals. SIBO is also usually accompanied by either diarrhea, constipation or both. Typically, diarrhea is associated with hydrogen producing bacteria and constipation is associated with methane-producing bacteria. Knowing what gases your overgrowth produces can help you choose the most effective treatment strategy. I want to be very clear here — SIBO is a secondary condition. A healthy small intestine has protective processes that will limit bacterial growth. When a breakdown in motility and/or digestion occurs, bacteria have the perfect environment to grow where they shouldn’t. Like I mentioned above, the small intestine needs to remain very low in bacteria to perform its job! Deficiencies in stomach acid, bile and enzymes can lead to SIBO. If you were diagnosed with heartburn or GERD, the chronic use of acid-suppressing drugs can leave you highly susceptible to develop SIBO. These include antacids like TUMs and proton pump inhibitors (PPI) like Nexium, Prilosec and Prevacid. The longer you are on PPIs the greater the probability you will develop SIBO. If you’ve used PPI drugs for more than a year, 70% prevalence of SIBO has been detected. SIBO prevalence is high in individuals with liver disease. (9) Your liver is responsible for synthesizing bile which helps you digest fat and kill bacteria. Liver inflammation and congestion reduce bile synthesis leaving you more at risk for SIBO. You can think of MMC as a broom that sweeps the small intestines clean between meals. It operates about every 1.5-2 hours. If MMC activity is low, food and bacteria aren’t moved down the small intestine efficiently. The result creates an optimal environment for bacteria to overgrow where it shouldn’t be. The MMC is also responsible for making sure that bacteria in the large intestine don’t sneak up into the small intestine. If you can take a moment to imagine two adjoining hallways that are separated by a door. The first hallway represents your small intestine which is followed by the second hallway representing your large intestine. The door between the two is called the ileocecal (IC) valve. It’s really important that the door (your IC valve) be kept closed most of the time so bacteria stays in the large intestine where it belongs. Low MMC activity is at the heart of many SIBO cases. (13) Without proper bacterial clearance meals or IC valve function, SIBO is imminent. Correcting breakdowns in MMC is imperative in SIBO treatment. Disturbances in the brain-gut axis can cause MMC breakdowns. The brain is intimately connected to the gut and signals the MMC to fire in the gut. Damage to the brain or the nerves along the GI tract can impair MMC activity and therefore motility. Inflammation in the GI tract caused by infections, stress, food poisoning, diabetes, IBD, celiac disease and leaky gut can damage nerves reducing MMC function leaving you susceptible to SIBO. Low thyroid hormone production delays motility through the GI tract. Sluggish movement of food creates the perfect environment for bacteria to overgrow. And it underscores the need to get a proper evaluation of your health so that you can remove a key trigger for autoimmunity. What if I have IBS, but don’t have SIBO? Sometimes you can have all the symptoms of SIBO, but still test negative. If your IBS symptoms aren’t a result of SIBO, then what else could it be? While you can rule out bacterial problems in the small intestine, your symptoms could actually be a result of microbial imbalances or infections in the large intestines. Low levels of good bacteria not only negatively impact gut function and overall health. It also leaves more room in your GI tract for pathogenic bacteria to settle in and thrive. However, bacteria aren’t the only problem you’ve got to worry about. Fungal or parasitic infections can also cause similar symptoms. And yes, it’s totally possible for fungus to overgrow in the small intestine and cause SIBO-like symptoms. Stool testing, blood work, and urine organic acid testing (such as the Organix Comprehensive Profile which you can order yourself) can be completed to test for fungus. Even if you don’t have SIBO, your symptoms are still likely due to disturbances in the microbiome. Working with a functional medicine practitioner to dig to the root of your IBS is one of the best things you can do. If I have SIBO…How do I treat SIBO? SIBO treatment should be individualized, multifaceted and root focused. The most common mistake I made during my SIBO journey was viewing SIBO as exclusively a bacterial problem. I thought all I needed to do was to kill all those pesky gut bugs to feel better! Unfortunately, SIBO is so much bigger than a bacterial problem. As we discussed above, SIBO is a result of a breakdown in motility and/or gut function. Unless these breakdowns are addressed, SIBO will return. A treatment plan should address both bacterial clearance and digestive breakdown repair. In order to clear the bacteria, pharmaceutical or herbal antibiotics can be used. Rifaximin is the most effective pharmaceutical antibiotic for SIBO. It works locally in the small intestine tract, but appears to leave the bacteria in your large intestine relatively unharmed. This is an important positive for Rifaximin since other antibiotics tend to indiscriminately wipe out large intestine bacteria. If you kill off lots of good bacteria in the colon, you’re left susceptible to imbalances in the microbiome there. Plus, herbals are more discriminant at targeting bad bacteria while leaving the good bacteria alone. Diet modifications are also an important component of your SIBO treatment. What diet is best for SIBO is a bit more controversial. While I believe that reducing fibers can reduce symptoms, I don’t believe low fiber diets can starve the overgrowth. Some cases of SIBO may need to restrict fiber temporarily to help manage symptoms. Long-term low fiber diets can starve all gut bacteria leading to imbalances and pathogens downstream in the large intestine. The small intestine can’t function properly without a healthy microbiome in your large intestine. I saw lots of pathogenic bacteria pop-up in my own large intestines when I was on a LOW FODMAP and low carb diet trying to starve the bacteria. As a result, I felt worse the more restricted I became with my food. When dealing with SIBO, it is important to remember that fiber in the diet is not the root problem! Even the most restrictive low fiber diet is not going to cure the SIBO. And I’d argue that too much food restriction can actually be harmful. When I restricted my diet too much, I experienced nutrient deficiencies, large intestine problems, hormone imbalances, weight loss, and stress. Spending all my time and energy pursuing a perfect SIBO diet was both frustrating and unproductive. There is no one perfect SIBO diet! Ultimately, you need to find the diet that works best for you! Based on my observations, the most successful SIBO diets focus on reducing symptoms and inflammation not on starving the bacteria. Avoiding your personal trigger foods while eating a nutrient dense whole foods diet should help reduce symptoms. Gluten and highly processed foods should also be avoided to further reduce inflammation in the GI tract. With SIBO, it becomes crucial to find your diet sweet spot. You want to reduce your symptoms with the fewest amount of restrictions (in the context of a whole-foods nutrient-dense diet). Addressing the Root Cause of SIBO and your IBS!! Created by Amy Hollenkamp at SiboDiaries.com. In my SIBO experience, a lot of people make a big mistake on their journey to feel better. By overly focusing on killing bacteria, you may skip the important step to correct digestive and motility disturbances that caused SIBO in the first place. Missing this huge piece means that you can end up relapsing. That’s why working with a functional medicine practitioner to pinpoint and treat your root cause is most effective. If you’ve got poor motility, prokinetic agents can be helpful tools. They stimulate MMC activity which keeps foods moving through the GI tract. The goal should always be to reboot your own motility processes, but prokinetics can maintain proper motility in the initial phases of treatment until your system is up and running again. Don’t accept an IBS diagnosis! IBS is just a fancy name for a crappy symptom….literally! Be your own health detective and dig to the root of your IBS. SIBO could be the reason behind all of your IBS symptoms. If you have IBS, it’s important to ask yourself (and your doctor) the question: do I have SIBO? 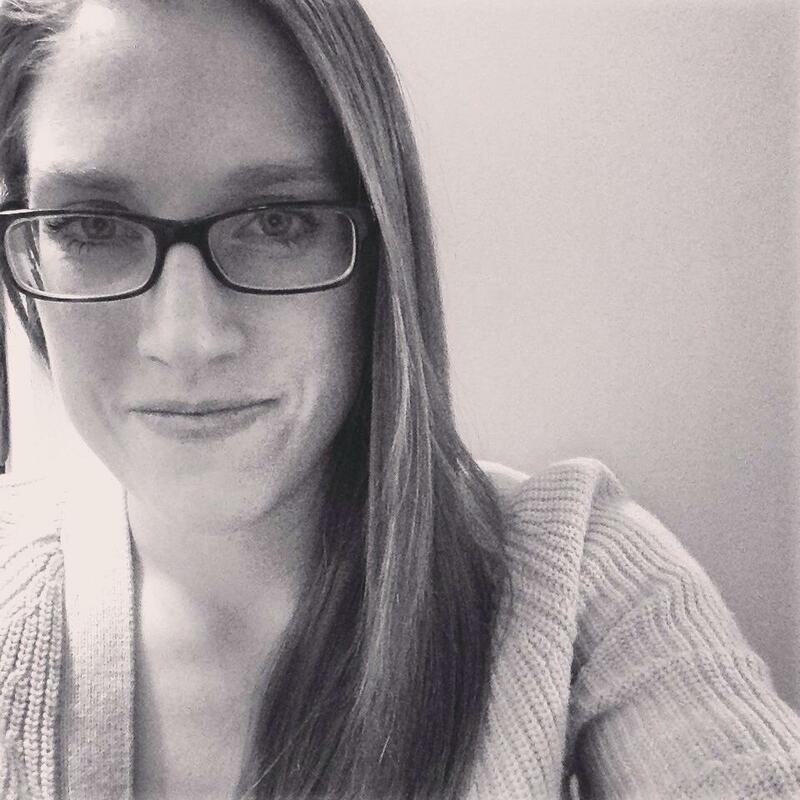 Amy Hollenkamp is dietetics student by day and a blogger by night. She created her blog, the SIBO Diaries, to share her experiences with SIBO and to lead a research-based discussion about various treatment options. At the start of her SIBO journey, Amy worked as a sales analyst digging to the root of complex problems in her company’s sales pipeline. As a professional dot connector, she quickly grew frustrated with her doctors who were just focused on treating symptoms rather than analyzing and digging to the root of her problem. She also grew sick and tired of hearing hundreds of stories in online forums of other IBS sufferers being let down by conventional medical treatments. Armed with her analytical talents, Amy realized that investigating the root causes of SIBO and helping others find their diet and lifestyle solutions to overcome chronic digestive issues was a better path. So she quit her job two years ago to pursue this dream. And she hasn’t looked back since. 1. Mahan, L.K. & Raymond, J.L. (2017). Krause’s Food & The Nutrition Care Process. St. Louis, Missouri: Elsevier Inc.